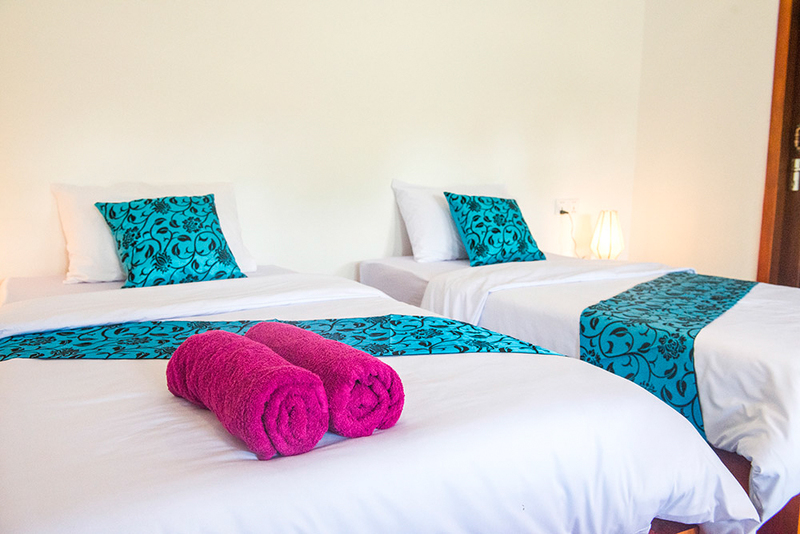 Each room has a private small roofed terrace with comfortable furniture. We have two superior doubles which both contain a kingsize bed. One is a superior twin with two single beds. The fourth room has one double bed and one single bed.